We are offering a wide range of Automotive Relays. Relays are electrically-operated switches suitable for controlling a circuit by a low power signal or multiple circuits by one signal. These relays are basically designed for automobile products. The offered range of relay is 100 % water and rust proof. In order to keep pace with never ending demands of the customers, our company is instrumental in presenting an excellent quality assortment of Automotive Relays. 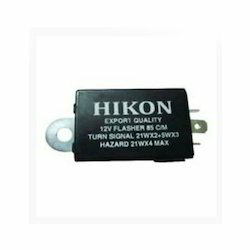 We are a highly renowned name in exporting best in quality Automotive Relays. 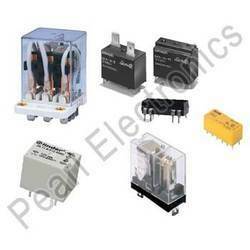 We offer all types of relays like polarized, machine tool, solid-state, overload protection etc. These relays are very effective in controlling the voltage and current of modem, automobile, electrical appliances etc. There are screw as well as solder types of terminals. Made of high quality plastic, these relays can withstand high temperature. Used For Bajaj Two Wheeler and Three Wheeler. Operate Time: 10 m Sec. Max. Coil Temperature Rise: 60 Degree C Max.